Demos: Romania's new kids on the block. 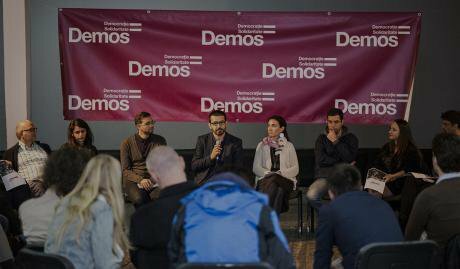 Andreea Petruț and Claudiu Crăciun are members of Demos, a new civic platform - soon to become political party - in Romania that has an explicit social and ecological agenda. Petruț and Crăciun are both political scientists and civic activists. For the moment, Demos functions as a civic platform bringing people together to debate and organise around the values of democracy and solidarity. The platform also serves as an "antechamber" for a party that is planned to be officially registered in the next couple of months. The values we stand for (democracy, equality) we also adhere to internally. And we have launched a ''Demos School'' which means we will be engaged in a continuous process of self-education and open discussion. oD: Both of you have been active participants in the waves of protests in Romania over the last years. Do you feel your party is grounded in last years' protest movement? AP: The themes of the protests taking place in Romania over the last years (anti-austerity protests in 2012, protests against the gold mine at Rosia Montana in 2013, last year's protests for reforming the electoral and party systems, protests opposing de-forestation) are all strongly featured on our agenda now, so there is a direct link. And many of the members of our platform have been organising, participating in or at least supporting those protests. CC: Yes, this is all an ongoing process ever since the anti-austerity protests in 2012. People involved in protests since 2012 stayed away from partisan politics because it was essential then to establish an autonomous presence and discourse of the street. This presence was established but now it has to be doubled by a political, electoral expression otherwise there is a risk that the agenda will be lost. I see this as a next challenge, that is both a continuation and runs in parallel to the civic efforts. The protests brought together people with very different ideologies and orientations. You could see all kinds of strains of thought in the demonstrations, from leftist and ecological to neo-liberal or nationalist and conservative. The protests were a major exercise in practising tolerance and all those diverse ideas coexisted in the street. But we think that for many people the social and ecologist dimension was important and we want to bring this forward without pretending to represent everyone. 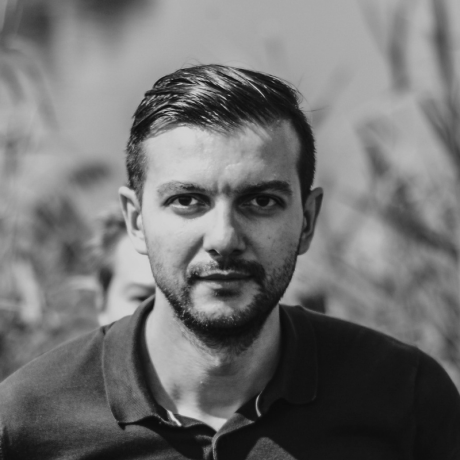 AP: Most of the other ideas and values were already represented in the political spectrum in Romania, but values around solidarity and environmental protection had never before been honestly represented by the political class, so it was important to give them a political expression. It is now possible to set up a political party, whereas before last year the legislation made it prohibitive. There still are formal, legal obstacles for the new political parties, but overall this notion, that political representation can only be realised through the existing, cartelized and corrupt political parties, is over. Some, if not most, of the newly founded political parties are much worse than the existing main ones - focused on religious conservatism and nationalist stances. We need to provide alternative forms of political socialisation. oD: You've got a name that echoes the Spanish Podemos. How do you relate to other movements and movement-connected parties in Europe or the world? CC: Demos is actually an acronym for democracy and solidarity, which are our two cardinal values. It is also the Greek word for the body of citizens. But we do see ourselves as part of the large and diverse group of civic and political movements rising across Europe and the world lately. The ideas we stand for had been brought up as well by Occupy, indignados and others, but of course there are important local particularities. Many of the things that seem obvious in Spain for example, because of their history, we have to fight for much more over here in Romania. We're in a position of having to rebuild from scratch a whole universe of social thought which has been systematically destroyed here since the 1990s. oD: What role do you see for yourselves in halting the rising tide of nationalism and hatred that feeds upon people's materialistic frustrations across the world? AP: The political environment in Romania is starting to become more toxic: on the one hand, we have a few new parties that promote an explicitly ultra-nationalist and conservative discourse, on the other hand, mainstream parties are rallying behind this kind of discourse too. They all support a neo-liberal economic agenda. On top of that, there is the populist theme of 'wanting to get the country rid of politicians'. We're trying to offer an alternative, by promoting democracy and solidarity combined with a strong pro-European line – pro-European in the sense that we would want to see a united Europe becoming more social and environmental. CC: What we do is talk frankly about people's concerns – which are definitely of an economic nature, but also political, like worries about corruption, jobs, public services, and identity. It is not true that governments no longer have the means to implement the macroeconomic, fiscal or social policies they want, as we are sometimes led to believe. Despite Brussels or international financial institutions, there is still a large room for manouevre - we just are not using it. Governments can still implement the social policies they want. Just two examples: the state aid policy can be shaped to create more and better jobs and tax collection could be reformed with added resources. Our alternative to brutal neo-liberal regimes and right-wing populism and xenophobia is concrete policies that work for the citizens, advancing their economic prospects and access to social services, without excluding anyone. There is a way out of fear and uncertainty, and it's not even a new one. Societies in crisis do well if they practice solidarity. If they give in to fear, disaster is around the corner. We avoid the trap of the fake tension between national and global capital, a new fashion in Eastern Europe. The aim is to create a social and economic system in which capital, whether national or global, will be tamed and subjected to democratic controls. It is not about where the capital comes from, it is about what it creates. If it creates environmental destruction, no thank you. If it treats the employees badly, we have a problem. The principle is simple: whoever wants to build, respect, and protect people, communities, nature and future generations is welcome and will get our support. At the same time, the state too has to be reformed and forced to serve the interests of the regular citizens. We have seen too many examples (like with the gold mining exploitation project in Rosia Montana) of a fusion of interests between corporations, party elites and the public administration. We need to disrupt this fusion of interests. We can say we are reformists, but in the sense that we want to make the state stronger, more effective and accountable. We envisage a state that is cleaned up from clientelistic networks and then assumes a sort of activism that leads to a real socio-economic development. This is a way to prevent neoliberals and nationalist-conservatives feed on each other and corrode democracy in the process. oD: Do you think Romanians will embrace your proposals? CC: Unemployment, workers' rights, access to decent healthcare, corruption - all of these are real concerns of the people. We will start there and engage in a dialogue about them with people, using clear, simple language and proposing feasible solutions. Everything that we talk about – like new fiscal and social policies – is doable, but of course there are obstacles to overcome. AP: We have plans to outreach directly to the people that are targeted by our policies, such as rural or urban poor, to understand better their needs and adapt our discourse to them. We're already linked to community groups that work with these people and from the next spring we plan a big push of going out into the communities ourselves. We're also expanding geographically, across the country. We look forward to the time when political activity becomes a natural part of people's lives, like doing sports or joining a community group. That apart from jobs, families, children, people find the time to be active politically, it doesn't matter where, with us or with someone else. oD: Let's discuss a more concrete item on your agenda. Combatting poverty, for example. The current government has an anti-poverty strategy, they take all sorts of measures based on age groups, from giving national identification cards to all born children, to giving small financial aid to poor families whose kids are in kindergarden, to afterschool programmes, etc. All individually good measures. Are they on the right path? How would you tackle widespread poverty in Romania? CC: No government will ever openly say they are doing nothing about poverty. They will always “do” something. The big question is whether this type of isolated interventions are really suited to the dimension of the phenomenon. For example, many of the kids that are targeted by the governmental programmes come from families where parents are working abroad, or their access to schools and clinics is very limited – to really address their problems we would have to have a much more structural approach. The interventions of the government are useful. But you cannot fight poverty via isolated interventions, without looking at the integrated socio-economic context of poverty, without discussing the economic model. When the minimum wage is as low as in Romania, when people cannot find work or even if they work they are poor, you have a serious problem of sustainability of such interventions. Those programmes should continue and be well financed but there is a big need for structural interventions. Take Pata Rat in Cluj for example, the Roma communities ended up living there at the periphery, next to the trash dump of the city, after being expelled from social housing by the city authorities. They were literally sent to the trash dump. What can afterschool programmes do in this context? How can they fix the situation? This should not have happened in the first place. I can give a second example where keeping people in poverty was a clear political choice. Almost 500,000 people in the country have a pension of 90 euros per month, mostly those who worked in agriculture. At the same time, people who were employees of the army, police, the infamous Communist Securitate, diplomats, judges and prosecutors, around 160,000 people in all, have significantly higher pensions, between 700 and 1,500 euros per month. This means the poverty of the former is politically induced. Small adjustments do not work when, at the same time, other political decisions reinforce poverty. oD: What kind of social and economic model do we need to address poverty? AP: We need an inclusive economy which leads to higher standards of living but without sacrificing workers' rights or environmental protection. We want to address precarious work by raising the minimum wage, fair pay and respecting workers' rights. We can make decisions about how to tax and how much we can extract from the economy, salaries and state aid policies, which types of industry we promote and where, how to train and protect workers', etc. And at the same time we must rebuild public services, that is education, health and social assistance. It's impossible to live in this country without functional public services. We need a kind of socio-economic activism of public authorities, who must lead this kind of development. CC: We won't get anywhere if we keep this economic and social model now. We have to reverse the total abandonment of the social dimension; we have to change the perception of the social, from a remnant of communism, to a basic element of a democratic society. We hear a lot that we cannot afford the welfare state. Historically welfare states were build to save societies from crisis and dissolution, when there was a sense of a broader social and national project. And this is exactly the case now. A real welfare state is needed because society was simply shattered during transition. Otherwise, we will be stuck in a tense and conflictual state in which everyone is fighting everyone for resources. A jungle-like “society”. Secondly, we need to develop our economy in a more resilient way and that is not fully dependent on foreign investments as it is now. To figure out ways of bringing economic development to the most vulnerable regions, by special programmes and by rethinking the approach to state aid. We want to see elements of green and social economy, to enrich the texture of the economic system. We've spent too much time and resources on luring foreign investors who sometimes didn't come and when they came they brought industries that do not bring much added value. Romania's labour force is very vulnerable to automation which will likely come. This is the big battle: how do we manage to rebuild the texture of the economic and social life which have been torn during the transition by forces that always seemed to be out of our control. The economic development is not some implacable force that you accept or reject. To use a metaphor, you are not creating the waves but you can control the speed and the direction. And for sure you don't need to throw anyone overboard as it happened so many times and with so many people during transition. 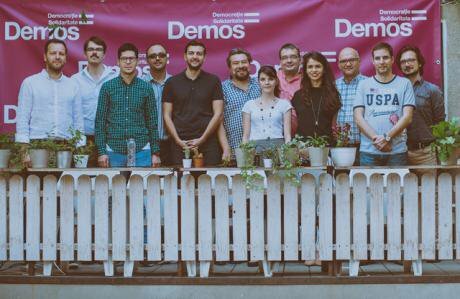 A Demos meeting in Cluj.